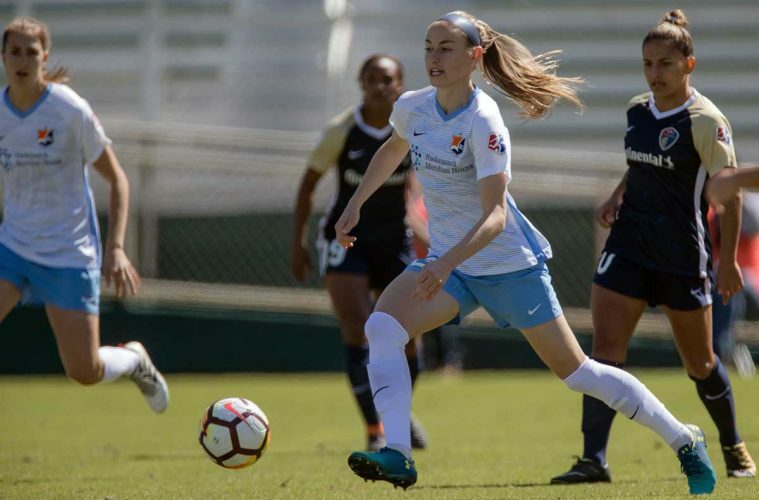 Janine Beckie says the opportunity to join Manchester City was one she couldn’t pass up after an offer came in last week for the former Sky Blue FC forward. Beckie, 23, has spent the past three years in the National Women’s Soccer League (NWSL) after being drafted by Houston Dash in 2016 but is now set for her first move abroad with Nick Cushing’s side. “I’d always had my eyes set on coming over to Europe and specifically England,” she told Our Game Magazine. “I’d never really had an opportunity that was catching my eye, nor at the right time in my personal life or my career. The offer came shortly before Beckie was set to travel with Sky Blue for a league game at Orlando Pride last week, a move which meant the Canada international missed the trip, sparking speculation of a move away. But it wasn’t until late on Wednesday night, together with her agent Alan Naigeon of AV Sports in New York, that Beckie finalized the move to Manchester. On the race to get everything done before Thursday’s FA WSL transfer deadline, Beckie added: “We got all the papers signed last night. Beckie admits she’s never been to Manchester and the deal has been done so quick she is yet to visit her new club, having only ever been to London. But soon Beckie will embark on her new adventure with the new domestic season starting in little more than a week’s time and the forward is looking forward to the challenge after speaking with Cushing last week. Beckie’s stats as a striker couldn’t be more different between club and country. 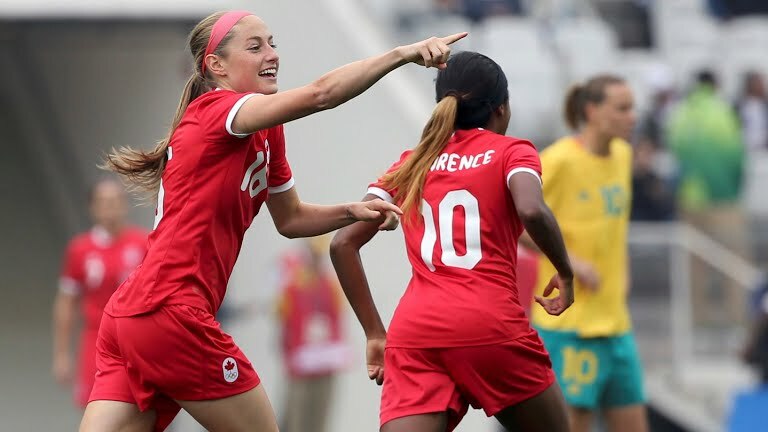 In the NWSL she scored just five goals in 53 appearances but she has a goal ratio of almost exactly one goal every two games for Canada, 22 goals in 43 appearances to be exact. 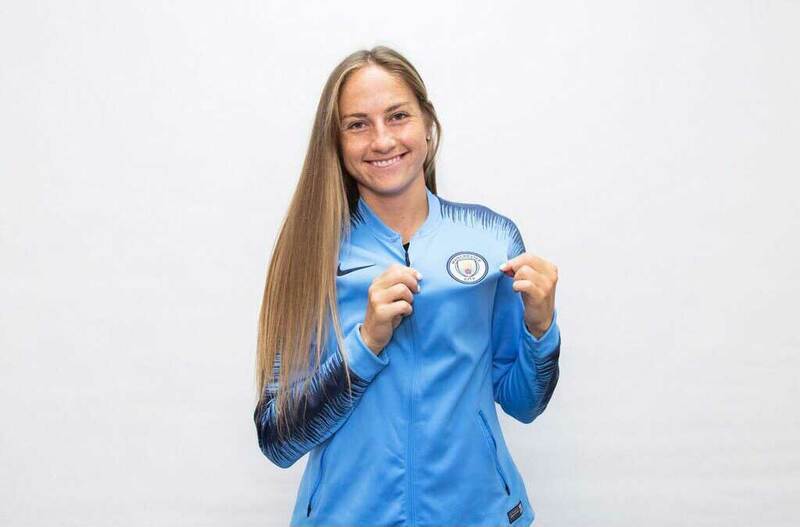 But Beckie isn’t worried about her domestic record and says Manchester City fans can expect plenty from her once she’s on the pitch. “They can expect a lot speed!” she claimed. “I love to put the ball in the back of the net and I have been known to do that a few times, so hopefully I’ll score some goals and hopefully take this team to potentially a championship. Beckie is joining a club which already harnesses an attack including fellow new recruits Tessa Wullaert and Lauren Hemp, plus the likes of Nikita Parris, Mel Lawley, Pauline Bremer, Claire Emslie, and Georgia Stanway. But the 23-year-old is relishing the challenge and is realistic about how she’ll have to perform in order to play regularly. “You can look at it as a challenge or look at it fearfully, but you know you’ll be challenged in a squad like that. I’ve always been a person whose gone towards that, I feel this is the move that will take my game to the next level and challenge me to be better every day, and if I’m not then I’m not on the field, and in my opinion, that’s the way it should be. Beckie can also claim to be one of the few Canada internationals to come and play in England, following in the footsteps of midfielder Desiree Scott who spent several seasons in the FA WSL before returning to the United States. But with fellow stars Ashley Lawrence and Kadeisha Buchanan playing for Paris Saint-Germain and Lyon in France, respectively, Beckie hopes the moves open doors for other Canadian players and offers inspiration to move outside their comfort zones. “It’s a massive deal to have another Canadian come to Europe,” she admitted. “Kadeisha and Ashley both made history going into the Champions League in France and that’s the level we’ve decided as a group of women we want to perform at. For now, all Beckie’s attentions to turn to Manchester City and the new FA WSL season. The forward references next year’s World Cup as a motivation in seeking a top-level move but also admits the lure of Champions League football and the possibility of playing at stadiums such as Wembley meant it was an opportunity she couldn’t pass up. “As a footballer, what comes to your mind is Champions League, those big European names that have become so famous because of the men’s teams but have invested in their women’s team. When you look at NWSL, it’s a fantastic league, it’s very athletic and competitive and very few games that are won by two or more goals.